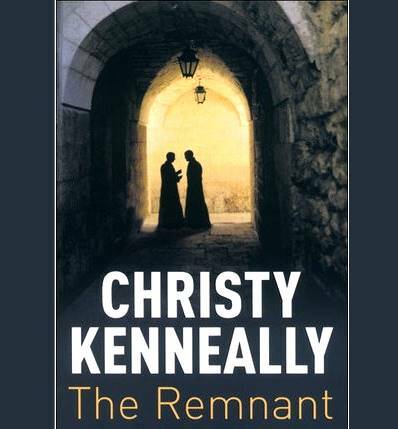 Christy Kenneally has written some 10 books, including three of his "Father Michael Flaherty" crime thrillers. The Flaherty character is more an action hero than a clerical detective, and the series begins with Second Son (2005). Flaherty has left his island home off the coast of Galway, enlisted as a marine in the USA and later transferred to Special Forces. He is now a priest in New York, but returns to Ireland after his brother Gabriel plunges to his death from a cliff in suspicious circumstances. A new factory has opened on the island, the islanders' way of life is very different from the traditional one that Flaherty remembers, and he must confront his past and meet his estranged father and his first love. The Pope is dying, and when Father Flaherty is sent to accept a new appointment in a Vatican department run by an Afro-American cardinal, he uncovers a plot to murder liberal churchmen so that no new Pope with similar views will be elected. In Tears of God (2009) Flaherty again returns to his Irish island home to hide from the world. But an assassin's dying message makes him realise that he must face an arch enemy (from the previous book) one final time. Originally from Cork, Kenneally is an ex-priest, with a BA from the NUI and a Bachelor of Divinity from the Maynooth. After graduating he started a management training company. He works as a communications and training consultant in Dublin and runs a management training company. He has also made TV documentaries, writes poetry and has published several books about bereavement and loss. He lives with his family in Wicklow.